The discount offer on above cannot be used in conjunction with other promotions and / or be exchanged for cash. Minimum weight for SkyJump is 40 kg while maximum weight is 120 kg including the harness. Jumpers need to be able to fit into the harnesses to participate. Written parental authorisation is required for clients under 18 years old. Minimum age should be 10 years of age and the client must fit the harness in order to jump. Here is your chance to be like a Hollywood stuntman! The SkyJump uses fan descending technology similar to what is used in stunts for movies. 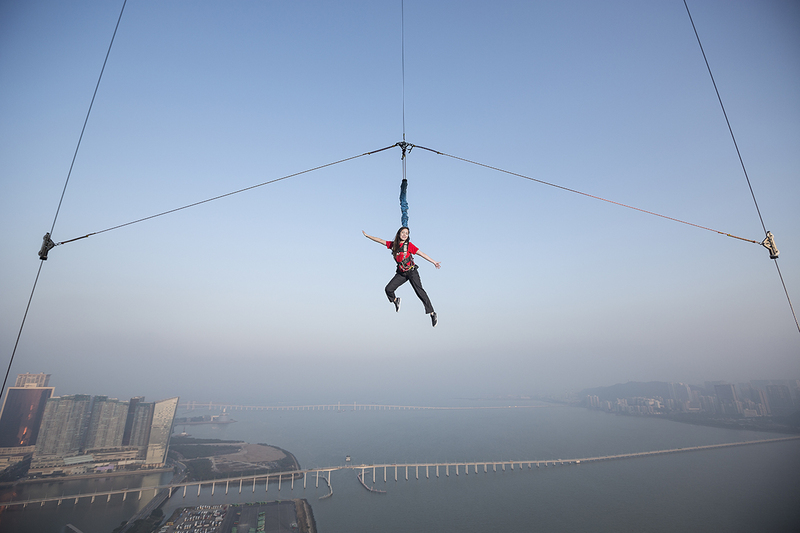 Instead of free falling like in a Bungy Jump, it is comparable to Base Jumping while attached to a cable. If you're not quite up to go Bungy jumping yet, this is the challenge for you. Both Standard and Full packages come with one SkyJump, exclusive T-shirt, e-certificate, AJ Hackett Membership Card, food and beverage discounts and tower entrance ticket. Leap from the same platform where the Bungy jump begins while attached to a wire cable. Enjoy a 17 second flight in a one way vertical drop. Eventually, you gradually slow down and land smoothly and comfortably on your feet at the ground level platform. 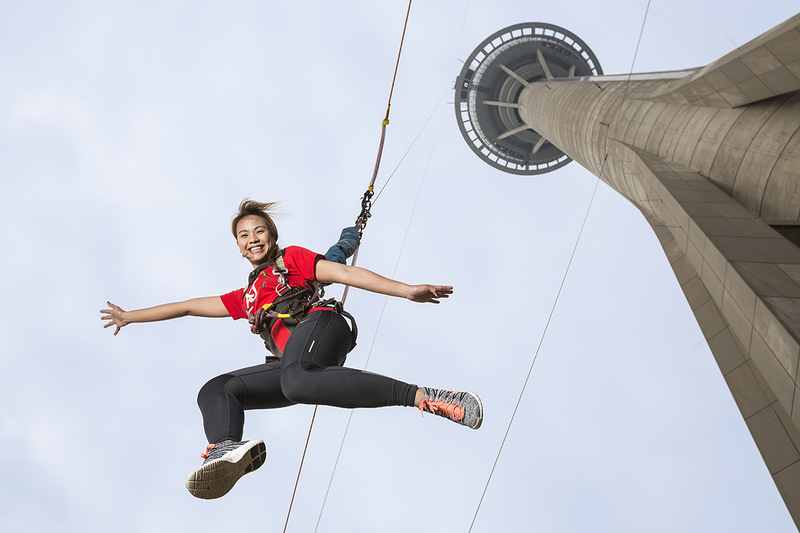 The SkyJump provides you an great view of Macau's skyline as you gradually slide down. If you are availing the Full Package, you can also get photos and video footage of your jump. Single and tandem jump options are available if you wish to do it together with a friend or loved one.